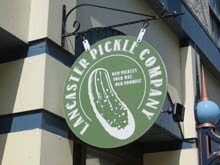 There are many places in downtown Lancaster to find great food in an attractive setting. 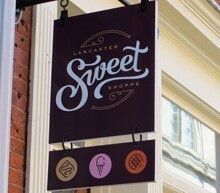 Whether it’s a casual meal, sandwich, snack, taste treat, or a memorable experience, you have many delicious options in downtown Lancaster. There’s something to please every taste. Located in the heart of the downtown, 88 Chinese Express offers a wide array of Chinese dishes, ranging from traditional Cantonese and Szechuanese to new-style Asian entrees. 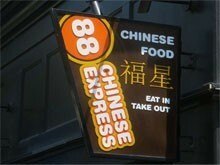 Dine in or take out a delicious Chinese meal. Choose from pizza, stromboli, calzones, subs, wraps, burgers, salads, wings, pasta and dinners. 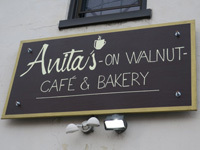 Anita’s café and bakery offers breakfast items, as well as soups, salads and sandwiches for lunch. Guests can also enjoy a variety of pastries, including biscotti. Enjoy pizzas, strombolis, subs, wraps, appetizers, dinners, salads, and desserts. Enjoy a variety of European-style coffee drinks, fresh-squeezed juice, fruit smoothies, as well as baked goods. 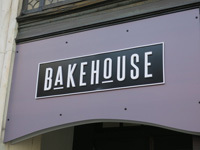 A bakery and pastry shop where you can enjoy daily fresh breads, cookies, cruffins, coffee, and more. Treat yourself to a culinary delight. The bakery offers extraordinary French pastries, including macrons, truffles, tarts, cakes, and individual pastries. 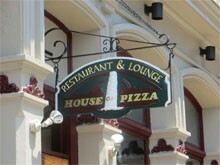 The bistro’s serves a complete menu in a casual and welcoming environment. 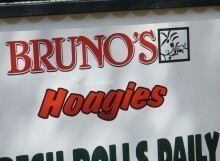 Bruno’s is known for its old-style hoagies. You’ll find bakery-fresh rolls, quality cold cuts and cheeses, and a wide selection of tasty toppings. 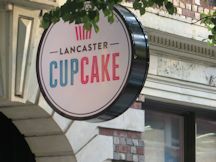 This small shop in the heart of downtown Lancaster is a great place to go for take-out sandwiches, and they have limited seating for eating in. 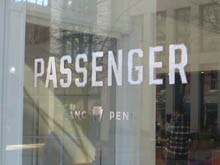 Get made-to-order food and drink to go at their walk-up window. Enjoy coffee, tea, sandwiches. Their breakfast sandwiches are favorites. Just off Penn Square. This café serves breakfast and lunch. Enjoy a variety of snacks, sandwiches, burgers, salads and desserts. 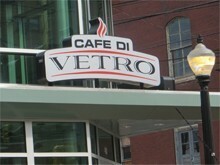 Café Di Vetro is a contemporary coffee shop with a big city feel. 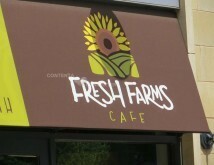 In addition to coffee drinks, the café offers sandwiches, wraps, paninis, soups, and salads. The café is open for breakfast and lunch. Try the Italian coffee. 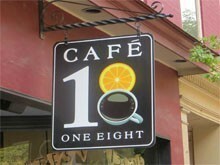 Café One Eight offers casual dining in a historic, intimate, downtown setting. They feature a delicious selection of food, coffee, tea, and much more. Located in a charming old building on the fun 300 block of N. Queen Street is this unusual restaurant that offers Korean dishes as well as traditional Pennsylvania sandwich shop selections.. 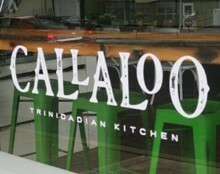 They offer traditional dishes from the Caribbean nation of Trinidad and Tobago, featuring curried beef, chicken and vegetables, salads, and desserts. 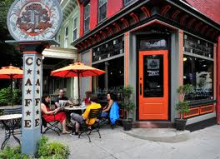 A charmingly distinctive neighborhood café 5 blocks west of Penn Square on beautifully historic West Chestnut Street. Select from a wide variety of your favorite bowls, or make your own starting with a base and adding veggies, toppings, and sauces. 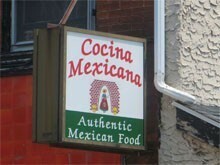 Cocina Mexicana is a small, cozy downtown restaurant that serves authentic Mexican food. The décor is simple, the service is good, and the prices are reasonable. 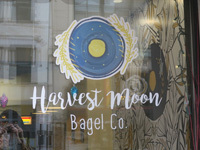 Serving breakfast and lunch, this local eatery features sandwiches, soups, and salads, as well as made-from-scratch pastries, sweets, baked goods, and bagels. 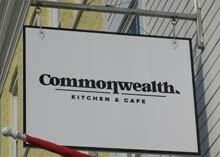 Commonwealth On Queen is a great place for breakfast and lunch. You’ll find coffee drinks, sandwiches, salads, and soup. In addition, the breakfast menu includes breakfast sandwiches, bagels, egg bake, baked oatmeal, and muffins. 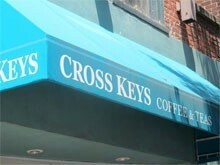 Cross Keys is a great place to shop for coffee and tea lovers. 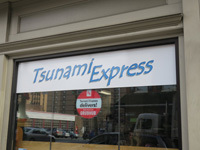 They sell a variety of coffees, teas, and related accessories and appliances. And best of all, they have a standup bar where you can get the best cup of coffee in the downtown. 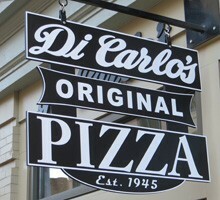 While they are known for their unique pizza, Di Carlo’s Original Pizza offers much more – including sandwiches, calzones, pepperoni rolls and breadsticks. Enjoy a delicious treat - cookie dough. In addition, you can get ice cream and a variety of milks. 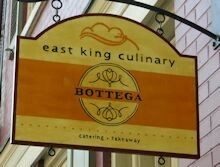 East King Culinary’s bottega is a open for a delightful take-away lunch. 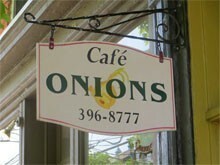 They specialize in salads, paninis, soups, and sweets. 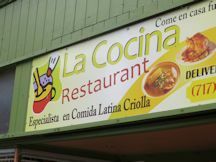 This delightful neighborhood restaurant offers delicious Latino cuisine. The menu typically includes Pollo Asado, Cuban Sandwich, Fried Peruvian Tilapia, Arroz con Gandules, and much more. This sandwich shop, deli, and gourmet store is located in a 100 year-old tobacco warehouse. 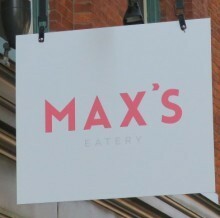 It features unique sandwiches, meat and cheese plates, sides, salads, soups, and gourmet grocery items. 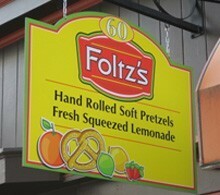 Stop in for seven (7) varieties of hand-rolled soft pretzels, as well as fresh squeezed juices - including lemonade, orangeade, and limeade. Enjoy their pretzel dogs. The food is made from scratch, using the best locally purchased ingredients. Enjoy made-to-order sandwiches, soups, salads, burgers, and personal flatbread pizzas. The café is open for breakfast. This downtown restaurant and bakery is open for breakfast and lunch. 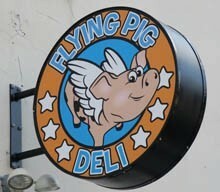 Enjoy a variety of sandwiches and entrees. The bakery features breads, croissants, and pastries. 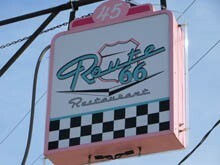 This restaurant offers inexpensive food and quick service in a Rock and Roll themed environment. The menu includes burgers, hot dogs, subs, salads, and soups. There is a full breakfast menu as well. 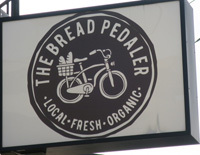 Featuring fresh, local, and homemade bagels, spreads, bagel sandwiches, and pastries. Bagels are made fresh daily with organic flour. 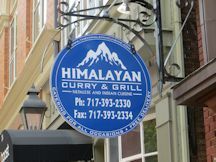 This intimate restaurant is a local favorite for those that appreciate authentic Indian and Nepalese dishes. The lunch buffet is very popular. The House of Pizza restaurant is committed to serving consistent, good food at a reasonable price, with high customer satisfaction. 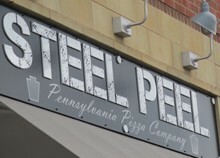 It has been voted onto the “A” list of neighborhood pizza restaurants by Central Pennsylvania Magazine. 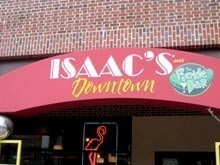 Isaac’s is a great place for a great sandwich. Every sandwich is unique, not like anything you’ve ever had before. And they are all named for exotic birds. Soups are a real taste treat. 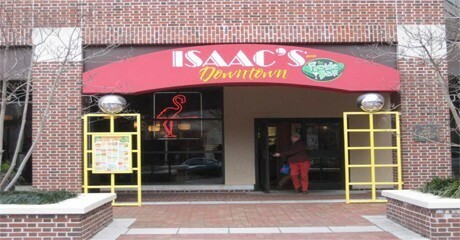 Isaac’s is open seven days a week for lunch and dinner. 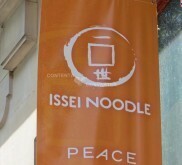 Issei Noodle provides an exciting Asian dining experience featuring an extensive menu of Asian-infusion style noodles from the Pacific Rim. 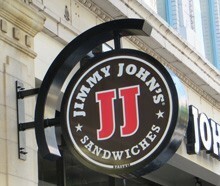 Known for ‘freaky fresh’ and ‘freaky fast’ gourmet sandwiches. 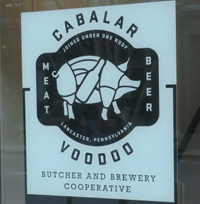 You’ll find from-scratch food, locally purchased produce, and hand-sliced meat. 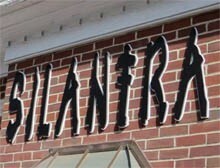 The food is authentic Dominican/Mexican. There is a wide selection including Empanadas, Plantains, Pork, Chicken, Pepper Steak, Rice and Beans, and both Chicken and Beef Stew. 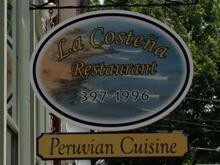 This Peruvian restaurant offers the best in Peruvian cuisine, with authentic Peruvian dishes and drinks. 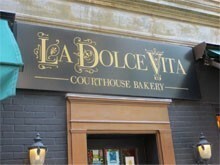 La Dolce Vita is an authentic Italian bakery across from the courthouse. Try the unforgettable cookies, pastries, cakes, breads, and much more. You can also enjoy delicious Italian sandwiches, fresh salads, and a variety of coffee drinks. 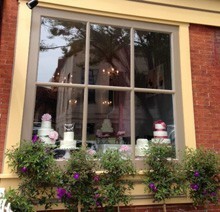 La Petite Patisserie is a dessert boutique, with a distinctive French flair. La Petite Patisserie offers an abundant selection of pastries, specialty cakes, cupcakes, bars, cookies, tarts and authentic French macaroons. Everything is baked from scratch, using as many local resources as possible. 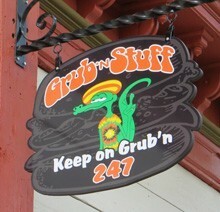 Make sure to try their Sunday Brunch! Come and experience the amazing power of a cupcake to turn a frown into a smile and impact someone’s day. And they are available in a variety of delicious and fun flavors. A unique food store selling 10 flavors of pickles, salsa, aged cheese, homemade ice cream, and imported Italian items. This downtown dessert destination features locally made premium desserts. They offer homemade fudge, peanut brittle, locally made ice cream, and best of all - freshly made Stroopies (PA Dutch cookies). 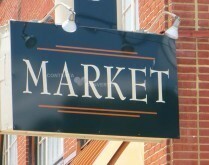 This small but fun market house is both a grocery and to-go eatery specializing in organic local produce and gourmet sandwiches. This casual restaurant has emphasis on a happy experience and affordability, featuring burgers, sandwiches, waffles, and salads. 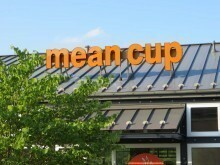 A great place for a mean cup of coffee or tea, hot or iced. 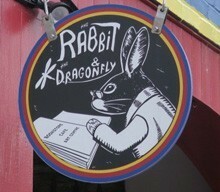 Open daily 7am to 7 pm. Enjoy grab-and go seasonal sandwiches, salads, baked goods, and desserts. 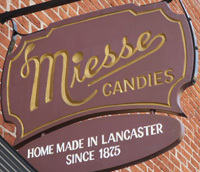 Enjoy candy made in Lancaster, and a charming, old-fashioned soda fountain featuring ice cream and milk shakes. 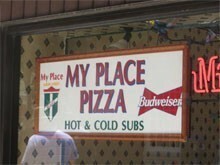 Located in the heart of downtown Lancaster, My Place Pizza is a great place to go for pizza, subs, cheese steaks, and sandwiches on rolls. 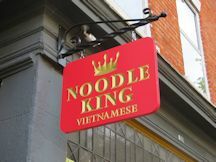 This authentic Vietnamese restaurant specializes in Vietnamese noodles of all kinds. You can enjoy healthy comfort foods like spring rolls, pho, Vietnamese beef stew, and chicken ramen noodles. 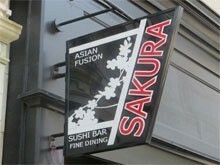 This restaurant on College Row offers a wide array of delicious authentic Japanese, Chinese, and Thai foods. 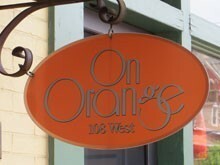 On Orange is a friendly, casual restaurant located in a historic building that dates back to 1850. There is something for everyone. The all day menu includes daily specials and delicious breakfast favorites. 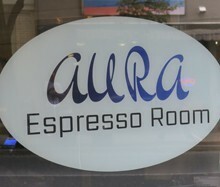 Select, fresh roasted coffees and teas are offered in this attractive shop just off Penn Square. Selections are changed seasonally. There is a limited menu offering croissants, breakfast buns, and biscuits. 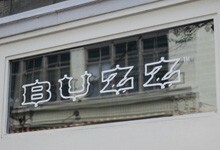 This hip coffee shop and restaurant is located across the street from the Fulton theatre. It’s family-friendly, offering fresh sandwiches and salads among other delicious options. 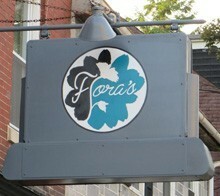 The décor is comfortable and it’s open from 6:30am to 11pm. 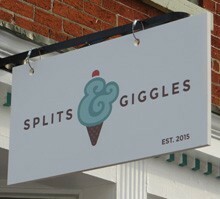 Looking for something different and delightful? The environment is casual and unassuming. 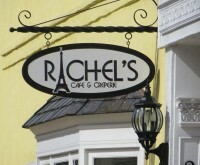 Rachel’s specializes in a wide variety of unforgettable crepes. 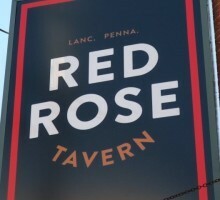 Open for breakfast, lunch, and dinner Tuesday – Sunday. 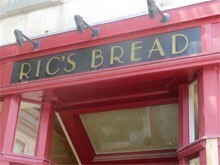 Ric’s Bread and Bakery specializes in Artisan bread and wholesome baked goods made from the finest ingredients. 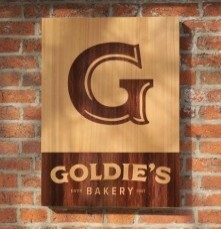 Be sure to try the mouth-watering muffins and oversized cookies. 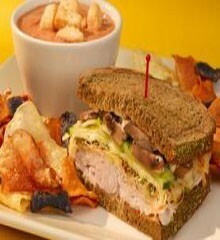 The bakery’s deli offers specialty sandwiches and delicious homemade soups. 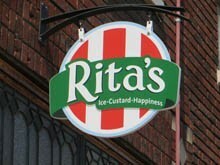 A great place to enjoy world-famous Italian ice treats made with simple ingredients. 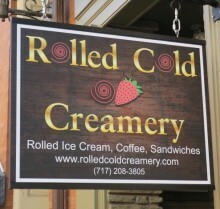 Enjoy made-to-order, hand-rolled ice cream, available in a wide range of flavors. In addition to ice cream, they offer outstanding coffee. 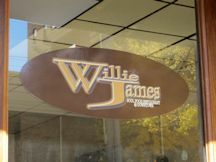 offers cheese steaks, subs, salads, and baked spuds. Experience some of the finest authentic Thai cuisine. This Thai food and noodles house is open for lunch and dinner, ear-in or take-out. 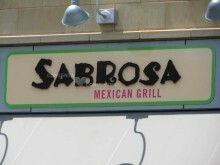 Sabrosa Mexican Grill specializes in build-your-own burritos, tacos, and salads. This downtown Japanese restaurant serves authentic Japanese, Thai, and Chinese dishes. 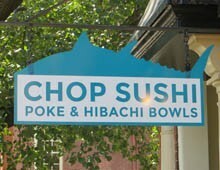 You can also enjoy their sushi bar. Dine in, take out, or get delivery. burritos, bowls, and salads using fresh ingredients. 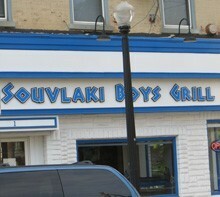 This authentic Greek grill offers the taste of Greece’s ‘street food’. 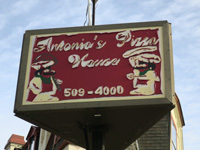 They use healthy ingredients, prepared fresh, and from scratch. The menu includes small plates, platters, pitas, salads, and souvlaki by the skewer. Enjoy this old-fashioned neighborhood ice cream parlor, featuring 24 flavors of hand-dipped Hershey’s ice cream, paninis, homemade soups, and more. 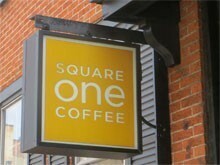 Square One Coffee is a neighborhood, specialty coffee shop. 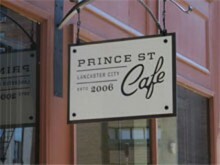 In addition to coffee they offer a limited selection of tea, sandwiches, and tasty treats. The atmosphere is homey and somewhat funky. 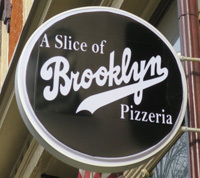 Located near F&M College, they offer traditional pizza, sandwiches, calzones, and a variety of unusual pizzas sold by the slice. 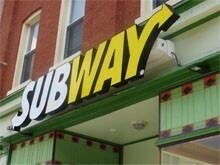 Subway is known for its fresh, made-to-order sandwiches, quick service, and consistent quality. 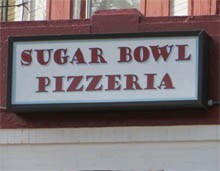 They offer pizza, strombolis, pasta dinners. subs, salads, sandwiches, wraps, and appetizers. 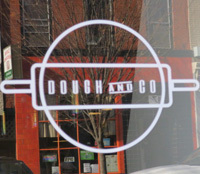 Their dough is made fresh daily. A delightful gourmet donut and coffee chop. 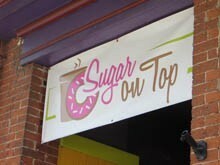 Enjoy a wide selection of creative donuts, or design your favorite from a variety of frostings and toppings. 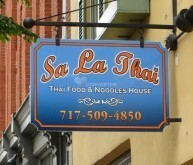 This delightful Thai restaurant is open for lunch and dinner, serving a wide selection of entrees, soups and salads. 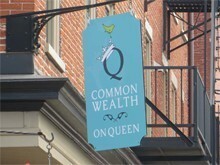 Home-style breakfast and lunch options with a focus on quality, fresh, organic, locally-sourced foods. 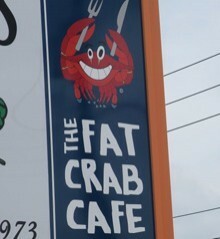 The café features seafood sandwiches, soups, salads, and sides. Also available - fish ‘n chips and a combination named The Crabman. This Hookah Lounge and Coffee Shop is a place for people to talk. 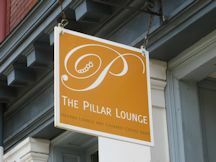 There are comfortable couches, tobacco water pipes, coffee selections, and bakery treats. Open from late afternoon to late evening. This unique shop is a café, bookstore, and community space. It holds ongoing music and arts events. 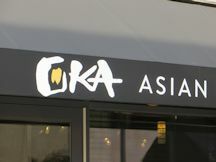 Asian fusion restaurant that features rolls, nigiri, sashimi, combos, poke bowls, hoagies and sandwiches. A great place to go for traditional soul food including fried chicken, fish sandwiches, ox tail, collard greens, cornbread, grits, and even mac ‘n cheese.